Over the years, there has been a lot of talk in regards to white tattoo trends. 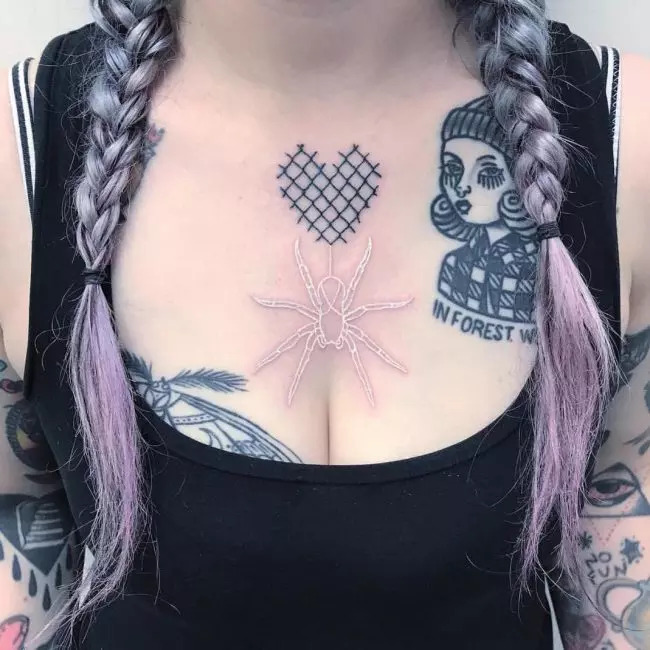 No matter how you may personally feel about these particularly elegant tattoos, they are a prime example as to how body art is becoming more and more special and unique. 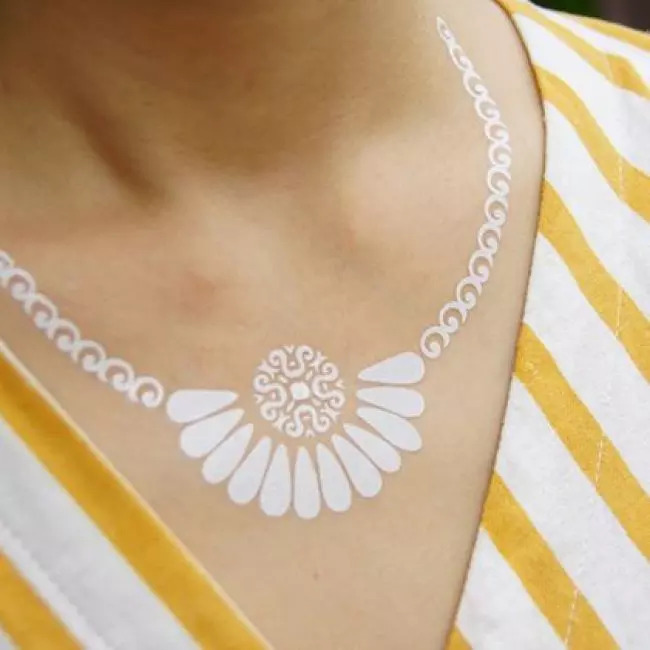 White ink tats may be simple, however, they boast a truly stunning appearance no matter where they are located on one’s body. Celebrities such as top model Kate Moss and Hollywood actress Lindsay Lohan are just two of the people who have white colored tats of their own. 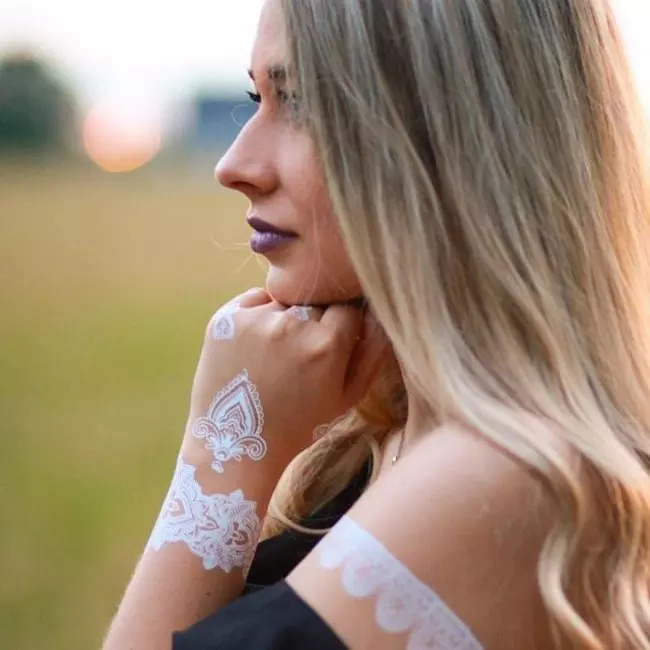 If you are thinking about getting a white ink tat, it is important to know what they are all about because they are not a typical tat. Continue reading to discover more information about white ink tattoos. To put it in the most simple terms possible, white ink tattoos are just tattoos that are done with white ink. It is a beautiful piece of body art that excels because of the eye-catching subtleness. It often leaves people wondering it is really a tat or an actually a pattern along their skin. They look as if they have almost been gracefully engraved into one’s skin, which is why they are most commonly admired by so many people. When getting a white tat, the process is much different than the one of any other color. Due to its white shade, it does not need to be outlined in black or any other color for that matter. Instead, the tattoo is completely done with the use of white ink. 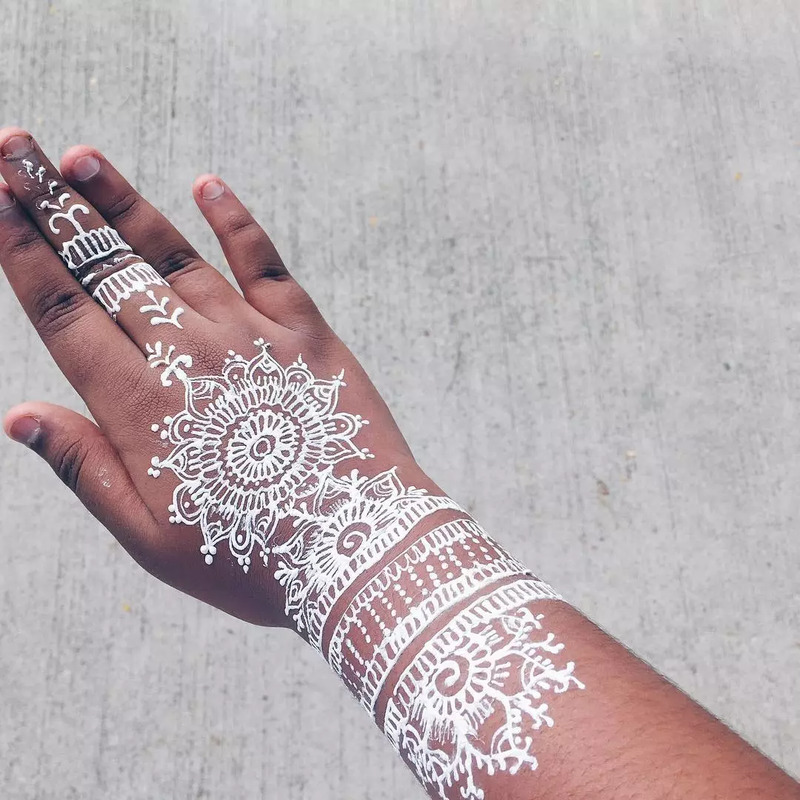 Not only does this shave off a lot of time, but it leaves a breathtaking appearance that looks much different than traditional tattoos. It almost looks engraved into the skin. Some people believe that these tats almost look like brands into the skin while others appreciate them because they are very subtle and sometimes hard to notice depending on the size. 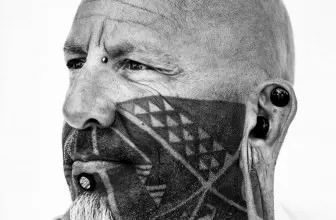 The ink used to do these tattoos is not of the same kind that is used for mixing shades in a colored tattoo. White ink is a much thicker as well as a more high-quality ink. It is specifically designed to stand out all on its own without the need for any kind of outline. Stencils can be used to do a white ink tat or the artist can do it freehand. 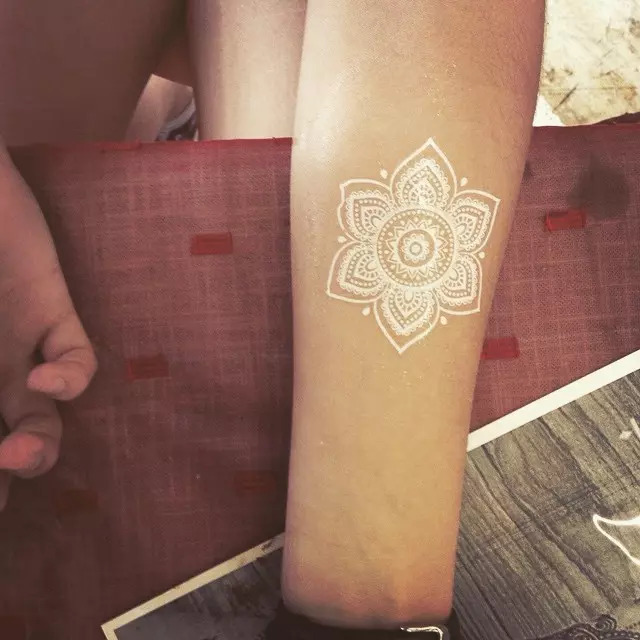 However, if a stencil is used for the tattoo, it is absolutely essential that the artist is sure not to mix the ink from the stencil into the ink that is being used for the tattoo. This can lead to decreased brightness and hue of the ink. Also, when getting this kind of tattoo, it will be necessary to perform several passes over the area. This is done to ensure that the white ink is fully absorbed into the skin. It is much more difficult for white ink to sink fully into the skin when compared to colored or black inks because it contains less pigment. Ultimately, the benefits of white ink tattoos are abundant. Here are just a few of the top benefits that these amazing tattoos have to offer. If you are not aware that someone has a white ink tattoo, it may be hard to notice them at first. This is particularly beneficial to people who want to get a job at a place where tattoos are not necessarily accepted. In addition, their subtleness tends to also make them much more captivating and gorgeous. The subtleness of these tats is not a flaw whatsoever. It is just another aspect that makes them so incredibly unique. 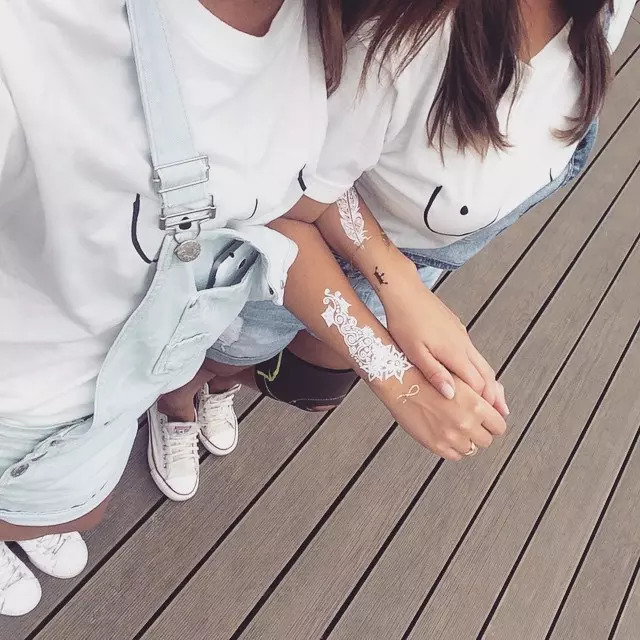 White inks tattoos are an excellent way to make a personal statement. Since they are not so easy to spot, they will more than likely only be seen by people who you show. 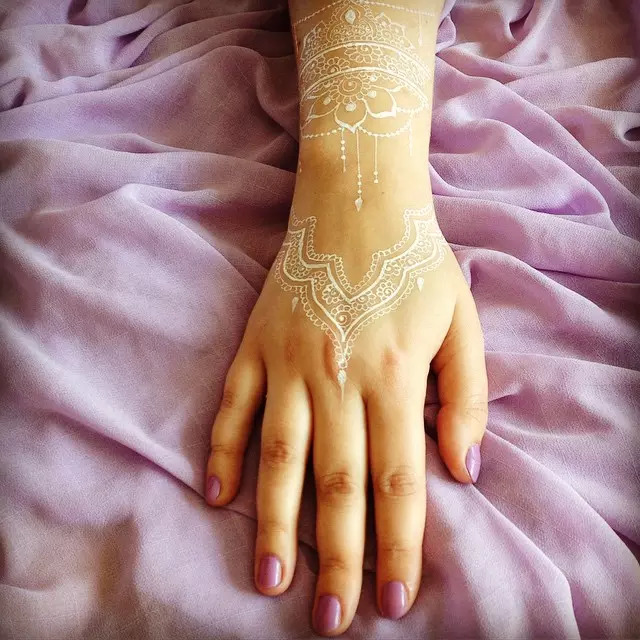 This ensures it is a meaningful tatthat provides you with the opportunity to make a statement of your personal mantra or it could simply reflect your individuality. One of he best benefits of these tattoos is that they are unique. 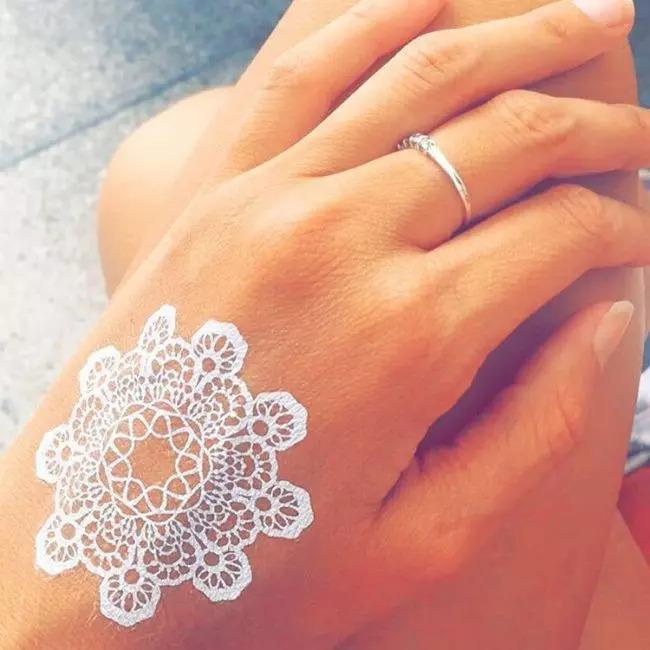 White ink tattoos are by far one of the most unique tats that can be done by any artist. You will be hard pressed to find another person with this kind of tattoo. If you want a unique tat that makes a statement, this is a great route to take! The design options for white ink tattoos are truly endless. You could take just about any tattoo design and give it a unique twist by deciding to have it in white ink. Of course, more simple designs will be much easier to do but a talented artist will be able to materialize whatever idea you have in mind. 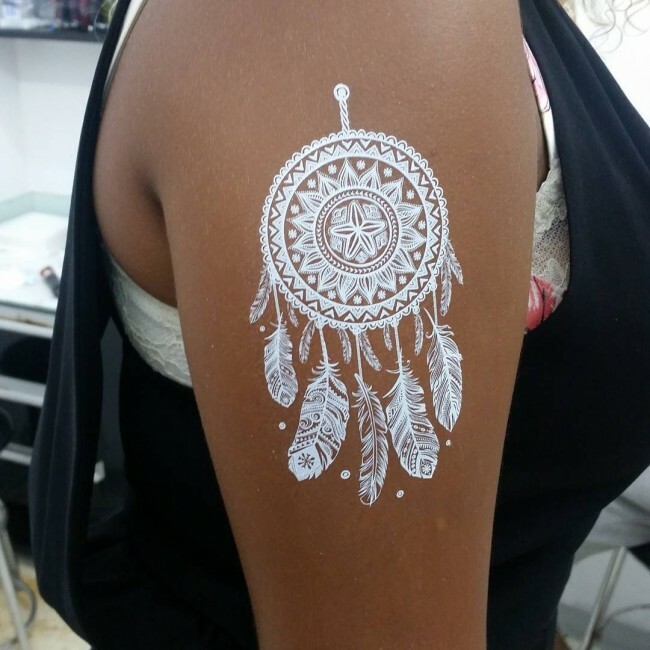 If you want a white tat, some of the most popular designs include hearts, flowers, stars and spirals. 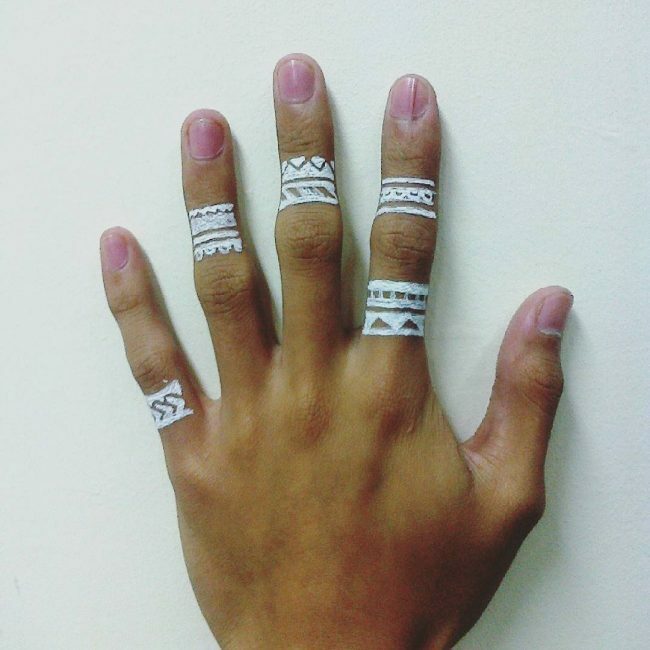 Furthermore, tribal as well as Celtic patterns are also excellent designs for white ink. If you want to take a more personal route for your tat, there are also tons of options for you to choose from. 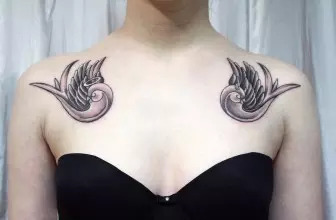 Some variants you could consider include special words or phrases, a name or the initials of someone that you love, a meaningful date, angel wings or a symbol that has a special significance to you. 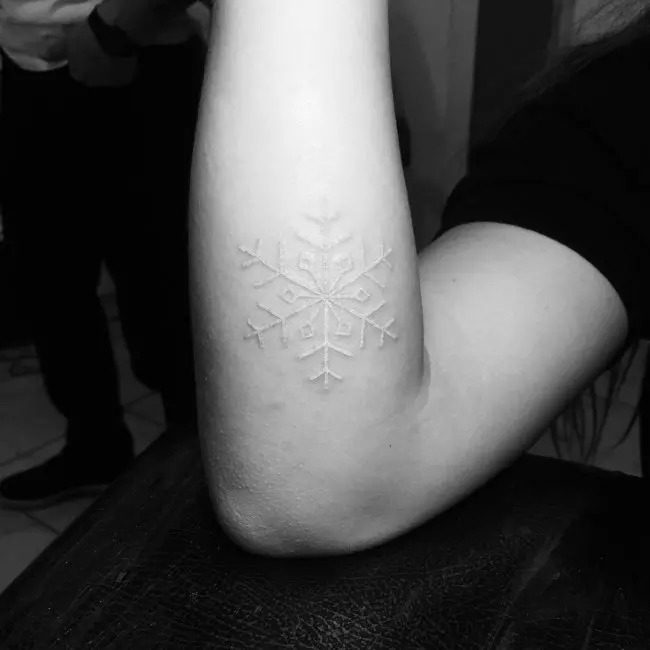 There are really no limitations for designs of white ink tattoos. All in all, it is safe to say that white tats are just as beautiful as they are unique. They may be subtle, but they stand out due to how truly magnificent that they really are. White tats manage to take body art to an entirely new level. Whenever considering getting a new tat, be sure to do your research and go to an experienced tattoo artist. You can do research by simply reading online reviews or talking to people who have had tattoos done.